One would wonder if it's possible to have the garage doors serviced correctly and promptly and without spending a fortune! In other words, can you have the cake and eat it too? With our Certified Garage Door Repair Houston company, you can. We understand that whether you work at the Mission Control Center or a local retail store, you can't let overhead door problems make you late. After many years in the repair service business, we pay attention to details that will leave all customers satisfied with every job and all products. 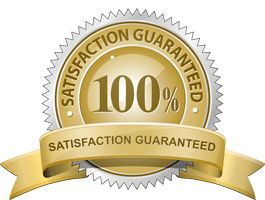 The satisfaction of our clientele comes from our commitment to assigning the best garage door repair pros to every job requested. Even the simplest tasks must be done with accuracy. Take garage door weatherstripping for example. One would say that this is a simple task. But weather seals installed incorrectly will make your bills go up and won't seal the entrance to insects. And then it's a matter of offering our customers excellent quality products. Who wants a garage door that cannot withstand storms and high winds? When you work with our garage door service company, we provide you with the best in everything: doors, openers, parts, technicians. All you need to tell us is what you want today. We just make it happen. If you like new doors, we send a pro to provide advice, quotes, and guidance. If you want to replace the opener today, it is arranged right away. If the garage door springs are broken, a tech comes out on the double. Choose us and see your requests professionally handled. Every time. From garage door opener repair to roll up door replacement, we can arrange any service you want. Repairs, installation, replacement, preventive maintenance – just name your need and we will set you up with a tech. It's vital to point out here that our company only works with Houston garage door repair professionals. Not only are they all local and thus fast in their response but experts in the field too. The pro assigned to your service will be equipped and trained to replace parts, make adjustments, fix problems, or troubleshoot openers. With the help of our Garage Door Repair Houston in Texas, you get the service you want when you need it the most and only by certified pros.